Be an informed buyer. You are stepping into a framework with amazing capabilities out of the box and limitless possibilities when you consider additional applications. Watch the free demo videos on both the salesforce.com and Salesforce.org website to get a sense of what’s possible. If you are generally intimidated by technology then be sure to find someone on your staff who can support you. Hint: find a millennial. Use the App Exchange to find a certified partner – Find reviews of partners, their products and learn where they are. If you know you are going to be purchasing licenses from Salesforce.org, then contact your Account Executive (call 1-800-NOSOFTWARE to get connected with your AE) and tell them a bit about your project and ask who they might recommend. Use your network to find a recommended partner. Look for someone who is in an organization with your similar size and needs. Ideally, they can educate and support you on lessons learned as well. The old rule of buyer beware no longer applies. There is a multitude of information about potential consultants, their products and projects at your fingertips. Post a Request for Proposal (RFP) – See next tip. Don’t fall in love with your RFP– A RFP is your best thinking from your current point of view. The only problem might be that you are completely inexperienced in building CRM’s, don’t fully grasp what problems they can solve, and need help to make sure you are innovating and not just making a copy of old, out of date software. It is ok to have a RFP, but use the RFP to start a discussion and get a list of interested consultants.That’s right! You are on the hunt for people you can talk to rather than evaluate on paper. Imagine going to a Doctor and giving him a list of your ailments and trying to find out who can give you want you think you want for the lowest cost. Good consultants have a process. Learn what it is, ask for demos and case studies and determine if you are a fit for how they work. Look for an Expert not an Order Taker – Experts are more expensive, ask probing questions that you might not like, and take the lead in your project. They have seen hundreds of projects like yours before and know what the conditions for success are and have a developed process they can walk you through. Order takers are developers who do exactly what you tell them to do. Frankly, you want the former. Additionally, find a partner who is an expert at your type of organizational model if you can. Some partners are great at serving direct service organizations and some are great at serving grassroots environmental organizations. Have a Budget – If you don’t have a budget, then you are not looking for a consultant, you are looking for a pro-bono volunteer. It is hard to find good volunteers and they can have very mixed results that may haunt you for years. You get what you pay for often applies here. Additionally, talk budget ranges with your potential consultants as soon as possible and make sure you are in the right ballpark. Beware of Data Migration Costs – Do not underestimate the value and the difficulty of bringing your legacy data into Salesforce. Salesforce isn’t hard, but data is, especially when you are merging data from your outlook contacts, multiple excel spreadsheets, Evite, Microsoft Access, your email newsletter database, etc. Data migration can get complicated quickly, it is hard to estimate, it can be very expensive (I have seen it be 5% – 40% of a project budget) and it is worth every penny. If you do not trust your data in your new Salesforce system, your project has a high likelihood of failing. Project Management Methodologies – Understand the project management methodology of your consultant and be sure you feel good about the amount of input you will have on the project throughout. Ask to have completed work demoed early and often so you can learn how your new system works and guide it to success along the way. 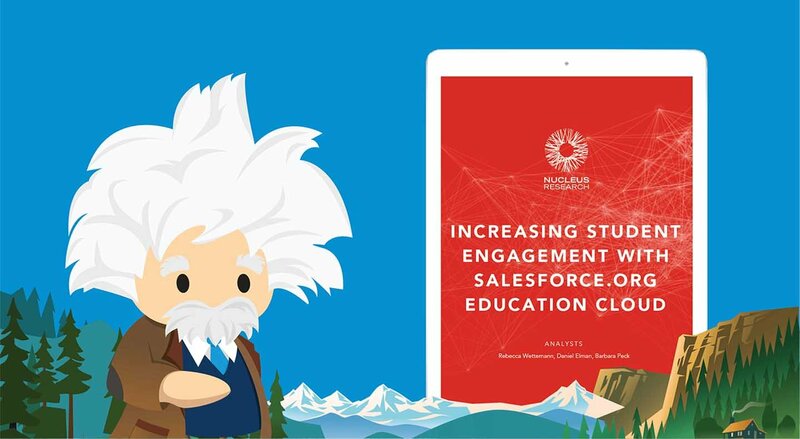 Strategic Consultant – Salesforce is a powerful platform that can be used for anything from simple contact management to designing a completely new interactive engagement tool for your users. 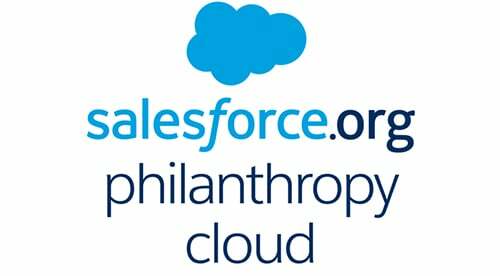 If your aspirations are high with Salesforce you will want to find a consultant who can lead you through a process to identify innovative ways to build new relationships with those who matter most to your mission. If your organization wants to transform how you work you need to find a firm that has a process that connects the future of your mission to Salesforce. Data or Requirements Architect – How does your consultant build your requirements? How do they hand them off to their developers? When do I agree to a full project scope before or after this analysis is done? Change Management Consultant – For larger organizations, you are not only considering a technology project but it is an entire change management project. Many organizations underestimate the need they have to plan and prepare for this change. Most consultants will provide you with simple assistance here but sometimes failure to give change management enough attention can derail or slow adoption significantly. Technical Project Management – This is simply managing the consultants work items as assigned. Most consultancies you work with should be good at managing their own tasks. Organizational Project Management – In order for your consultant to be successful they will need someone at your organization to manage the requests they have from you. For example they will need someone to manage access to the right staff, to data they need, to coordinate project plans to accommodate major organizational blackout dates. Project Sponsor/Administrator(s) – This is obviously an internal resource at your organization that needs to be in place. This may be the same person as #2. Note that this person is your new most important staff person. They are going to have the institutional knowledge of how your new system was architected, deployed and works. They will know how to help people build reports, fix future problems and reason with the slow adopters. This person will be where you invest Salesforce training and skills. This person is committed to your organization and you should not be going on sabbatical in the middle of your project or leaving right at the end of it. Consultant Management – For larger projects, you will likely have more than one consultant involved. Who is going to manage those consultants and who do you point to if an integration between your website, your email newsletter, and Salesforce stops working. Either you need to own that or determine if you need to pay your consultant to own that responsibility. Similar to a housing remodel, you need to be clear who is holding the general contractor responsibilities. Phase your Engagements – Trust your consultant and let that trust build by doing phased approaches to your project. Consider paying for discovery separate from your implementation so you can feel confident in the recommendations before you sign the bigger check. Ongoing Support and Long Term Relationship – Talk about what happens after you complete your project and think clearly about what happens next. If you are implementing a deep and wide implementation you need to find a partner who has a clear support and account management program as you consider future improvements. My final bit of advice is find a partner you are planning to trust . If possible meet all the players who will be on your project. Consulting is a people business. Find the best your money can buy.